In response to concerns about cell phone radiation and brain cancer, cell phone manufacturers will publish information about the radiation they produce, even though there is no clear link between radiation and brain cancer, and the radiation figure is only one component. It should, and not just from the story about San Francisco requiring manufacturers to publish such data in cell phone stores. The same thing happened nine years ago, when the Cellular Telecommunications Industry Association (CTIA) required wireless phone makers to publish the data, known as the Specific Absorption Rate (SAR), for all phones beginning Aug. 1, 2001. Then, the criticism was that the SAR data was buried on the FCC website, so it needed to be published in manuals and on boxes. Now, San Francisco is saying that's not enough, and it needs to be published in the store itself. Unfortunately, having the SAR data available for the past ten years hasn't brought us any more definitive conclusions about cell phone use and brain cancer. 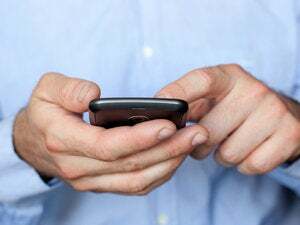 The World Health Organization released a study titled 'Interphone' earlier this year (PDF) about brain tumors and cell phone use between 2000 and 2004, but the results both were and weren't definitive, according to an analysis published in the Huffington Post. "All studies that have been able to examine people a decade after heavy use began have found increased risk of brain tumors." Some European countries are taking the risk of brain cancer much more seriously; in France, for example, legislation has been passed to require cell phones to be sold with an earpiece or headset, to forbid advertising to children under 14 or to give a cell phone to a child under six, and to require warning labels, according to the Huffington Post piece. "Numerous experts and government health and safety organizations around the world have reviewed the existing database of studies and ongoing research and concluded that RF products meeting established safety guidelines pose no known health risk." It's that "no known health risk" that's the clincher. Tobacco, asbestos, and downwind nuclear testing were once "no known health risk" as well. · How many people buy their cell phones in a store, anyway? In addition, several states, including California, Maine, New York, and Oregon - as well as Congress itself -- have considered or will consider legislation requiring labels on cell phones, warning that they could cause brain cancer. After all, such labels work so well for cigarettes.